The Lakeside Company has the internetwork in the exhibit. The administrator would like to reduce the size of the routing table on the Central router. 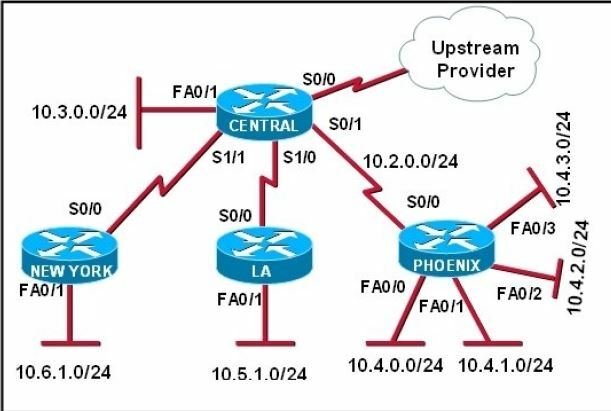 Which partial routing table entry in the Central router represents a route summary that represents the LANs in Phoenix but no additional subnets? The 10.4.0.0/22 route includes 10.4.0.0/24, 10.4.1.0/24, 10.4.2.0/24 and 10.4.3.0/24 networks only.